Southampton is witness to a wonderful carpet cleaning service opportunity. Our neighbors in Southampton have access to affordable carpet cleaning just like their neighbors Bensalem, Langhorne and Morrisville. 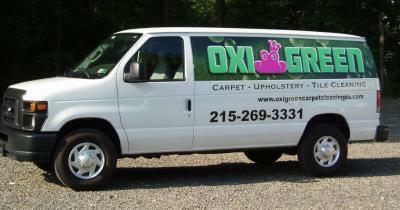 OxiGreen is your source for affordable carpet cleaning. OxiGreen, owned by John Fitzpatrick, has developed a strong brand for excellent work. Their certified crews can work any emergency commercial and residential. Do you have a open house tomorrow but forgot to schedule cleaning to get rid of those spots? Call us at 215.269.3331 or go to our website. We have same day service for commercial or residential customers. Nothing is too difficult for us. All of our crews are experienced and we use the most current equipment for carpet cleaning. Affordable carpet cleaning is our specialty. We clean and restore the original pile of your carpet to look like new again. This service is MUCH more than just cleaning! We fully remove all traffic lanes. 100% GREEN SERVICE! Call 215.269.3331 to schedule your appointment for carpet cleaning or go to our website and click on Schedule. We are ready to serve you. http://www.oxigreencarpetcleaningpa.com/.